Some very important dates for the term ahead KS1 and EYFS Sports Day on the morning of Tuesday 10th July (reserve date of Monday 16th July) KS2 Sports Day on the morning of Wednesday 11th July (reserve date of Tuesday 17th July). The PTFA Summer Fayre is scheduled for Saturday 7th July from 1- 4pm. Y6 Trip to London is Wednesday 13th July. Further dates, including class assemblies, EYFS welcome meetings and other events, will be on our school website soon. There are many clubs for this term and many opportunities to join in this Summer! Exciting news for parents and children in Years 3, 4 and 5! There were lots of free events, opportunities to watch and take part in music, film, drama and dance, as well as going to festivals, discounted tickets for families, vouchers for signing up and much, much, more! The General Data Protection Regulation (GDPR) is a European law which came into effect on the 25th May 2018. In order for us to be GDPR compliant we updated our privacy notice as well as relevant policies and procedures. Please visit our school website www.littleport.cambs.sch.uk/ data-protection to find out more. Reminders: during hot weather please send your child in with a hat for shade, and a drink to keep them hydrated. Absences: If your child is absent you will need to inform the school by 9:15am at the latest, either in person, by telephone, text, email or through the ‘schoolcomms’ system. We need a full reason for the absence. Telling us that your child is ‘sick, poorly or unwell’ is not sufficient. Please also be aware that the school will need to be contacted every day that your child is away, with a full explanation. Thank you. School Governors have visited recently for Maths, SEN and various year groups. Comments include this one: “During my Maths visit I saw Bar modelling in action – it is part of the Singapore maths approach and is the school’s chosen method to help students solve mathematical reasoning problems. A number of students enjoyed showing me their work, and I was very impressed with their understanding and enthusiasm for the method. Although in the early stages of introduction, early indications are that it is not only a valuable tool in our school but will be very helpful in their future education and beyond.” Kev Fox, Maths Governor. At Littleport Community Primary School, our curriculum has our children at its heart. We believe in an exciting and engaging curriculum that is stimulating, challenging and fun, and a curriculum that offers our children a wealth of experiences and new challenges. On this page you can find the statutory requirements for each curriculum subject at Littleport as well as an overview of the curriculum in each year group. This is in line with Department of Education expectations of schools from September 2014. As a school, we reviewed our curriculum during the spring and summer terms 2014; staff have collaborated to create a curriculum for our children which we will be continually reviewing to ensure it meets everyone’s needs. Enterprise: Littleport children are enterprising and can show initiative to solve problems. They work independently and within groups rather than rely on adult support. Diversity: Children at Littleport Community Primary School have broad horizons and celebrate many different types of lifestyles, cultures and traditions. Enquiry: At Littleport Community Primary School, children develop a curiosity about the world around them. They ask questions and are active participants in their learning. 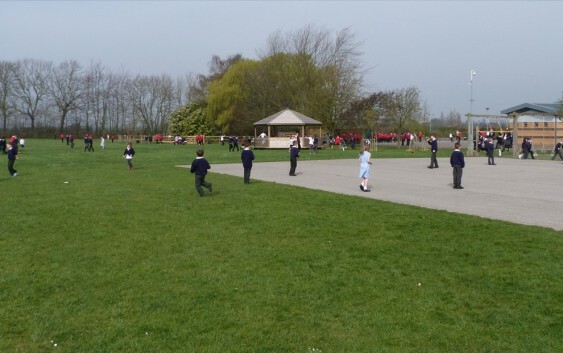 Outdoor Learning: We value our environment and are passionate about learning outside. We look for opportunities to learn out of doors, enriching our experiences across the curriculum.